Let’s face it: we’re all on email overload. We use it for just about everything, including scheduling, budgeting, project management and many, many other unintended functions. Though email, when used correctly, can be a great tool, it was actually built to support only communication (and not all the other functions we try to squeeze out of it). Many of our inboxes are filled with thousands of message, many of which contain little value or structure. This, coupled with the overwhelming rate of incoming messages, has made many email experiences unproductive and inefficient. So how can we get rid of the headaches we’re giving ourselves by misusing email? Over the course of my career and in my current role as CEO of Comindware, a business process management company, I’ve uncovered a number of ways that email users can get more out of email and manage mission-critical business processes in a more effective way. When you’re unsure of a situation or are afraid your words might be misconstrued, it’s best to step away from the email. This applies to situations that might be difficult to explain over email (such as employee feedback) or confidential matters. In many cases, picking up the phone to discuss things live is a more effective use of time and can save countless cycles of emails. Before you shoot off an email, make sure that all of the recipients copied on the message actually need to see the content. According to a study from uSamp, office distractions like email can cost companies more than $10,000 per employee annually. With this in mind, carefully consider which recipients should be included – perhaps in the first iteration of a project message, you should not include the head honcho, but you might want to copy her on the final version, once it has been approved. When you get an email with a task that you can handle within a short amount of time (15-20 minutes), do it right away. That way, you can limit the number of back-and-forth replies and provide something of value in a short period of time. If you do need more time, flag that email in your to-do list – you’ll know it is something you need to go back to and it won’t interfere with other emails. And when a reply is necessary, be mindful of replying to all recipients. Only reply once the requested project is completed, if there is missing information or if you need suggestions. Try to keep that brief, as well. Approvals, like project plans or proposals, can be a frustrating experience when done over email. Putting a process in place (through a technology or internally) can alleviate a lot of the pain of not getting responses on approvals before deadlines or confusing version control issues. Another solution for email woes? Implement a technology that works with email. Because we all love working on email, investing in a technology that supports project and process management capabilities (like deadlines, statuses, attachments, etc.) within email can alleviate a lot of the headaches associated with trying to make email work for things it wasn’t built for. When organizations implement costly and complex solutions that don’t work with existing email solutions, employees often ignore the new tools and revert to email because it is an easy-to-use and familiar tool. 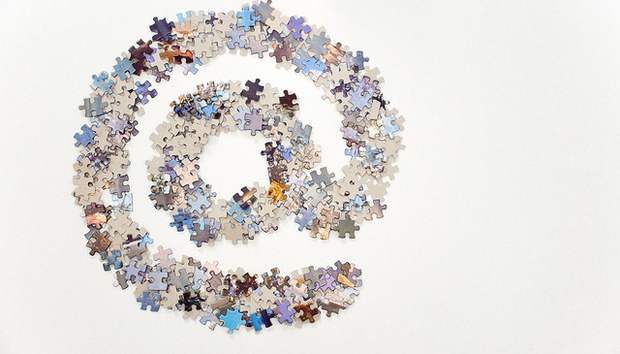 Follow these tips and you can help make email work better for you and your company.